NAO, East London’s finest electro-R&B artist, has been on the low for a few months now. It’s not so much that she’s vanished completely – show-stopping at festivals like Coachella and Afropunk were on her spring and summer to-do lists, of course – but, until recently, she’s stayed pretty quiet about any fresh, upcoming projects. So it was positively surprising when the British singer/producer revealed on Instagram that she’d be handing over something mid-September. “I’m in hiding writing my next album, but I’m gonna drop some new music for you in the meantime,” NAO told her followers, most of whom seemed satisfied with the promise; after all, she hadn’t released anything since January’s For All We Know – The Remixes EP, which, as remix collections often do, had too many competing hands involved. By title, it was a NAO record. By content, it was hardly as magical as one. Hence, the prospect of real, new music was enticing, especially as the Instagram post was accompanied with slapping bass notes, chopped vocals and retro-dipped constellations – the tune was “Nostalgia,” and these sounds and sights were early indicators that, maybe, the songstress was making her solo return, at last. Today, that hopeful prophecy has been confirmed, and NAO has gifted the world with “Nostalgia” (9/15 via Little Tokyo Recordings) at the right time – the beginning of autumn, when everyone is still hung up on summer’s romanticism and sunlit nostalgia wreaks havoc in the brain. The singer makes her own lust for the bygone season apparent from the track’s start, an outgoing and instant jump into a groovy, yet well-groomed bassline that glazes over NAO’s words. “You feel like summer, you bring me back to life / You got me reminiscing ‘bout a better time,” she sings with her usual grace that, in both its fairy-like highs and booming lows, charms a listener away from their real-life work and places them in a vibrant, soul-warming world. This planet is intrinsically NAO – she’s invited the audience to her spot in the clouds, where everything is “honey and dew” and nothing but the good times matter (“You blew me away, out of reality/ You had me recollecting ’bout a better life”). At the same time, “Nostalgia” seems to illustrate NAO’s artistry in an unprecedentedly honest form – she’s always dominated her own turf of self-invented “wonky funk,” but this latest project fits that label more than her debut LP For All We Know’s most boogie-friendly components (re: “Happy,” “Get to Know Ya”). Its synth grooves are more disco than synthpop; its bright, genial chorus emulates Evelyn “Champagne” King or Earth, Wind & Fire rather than any of NAO’s contemporaries. Even the song’s title prompts listeners to think about both past seasons and decades. And as she cleverly sings, “you had me feeling like oooh, my love, dreaming of September,” it’s evident that the track’s vintage get-up was deliberate. But, most importantly, “Nostalgia” has the power to remind fans of an easier time, circa last July, when For All We Know had just hit the digital (and some physical) shelves. The record comprised of brand new material at large, and its 18 tracks made NAO’s divine allusions to energetic and luminous love accessible; fifteen months later, her admirers are eager for more of those imaginings. 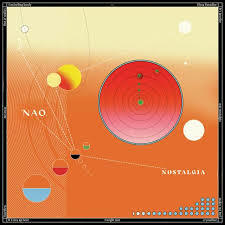 But if “Nostalgia” is expected to satiate that readiness, then it colorfully excels at doing so – NAO is resurfacing, indeed.